I love any excuse to throw a party. 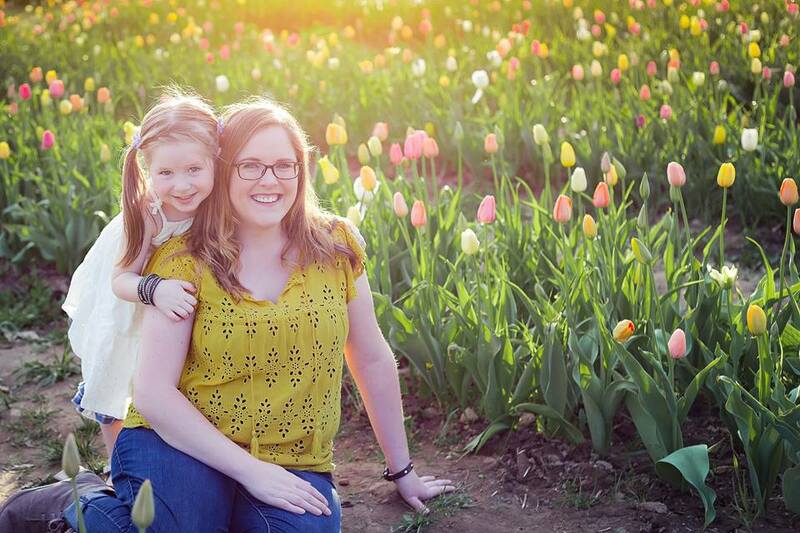 This week I had TWO reasons to celebrate! It was Dave’s birthday week AND Big Hero 6 came out on DVD! 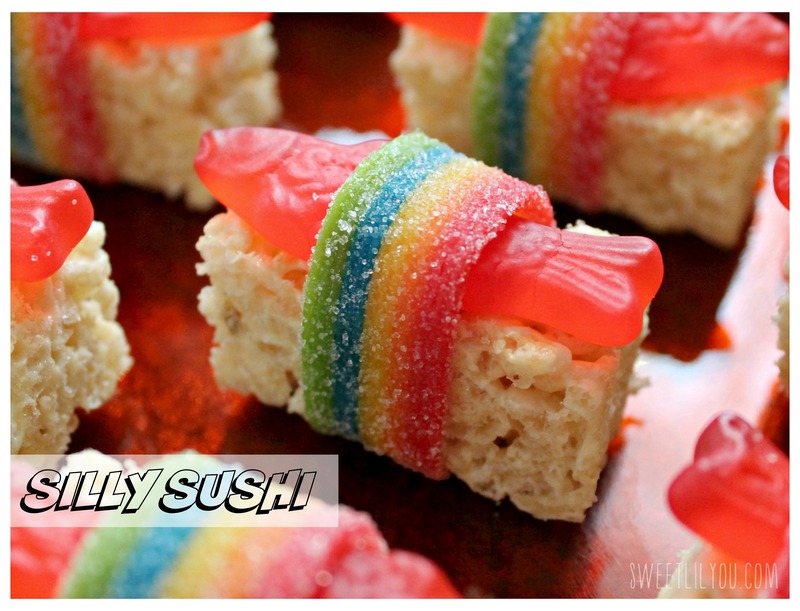 So, I thought, why not combine these two awesome things into one super fun family movie night! 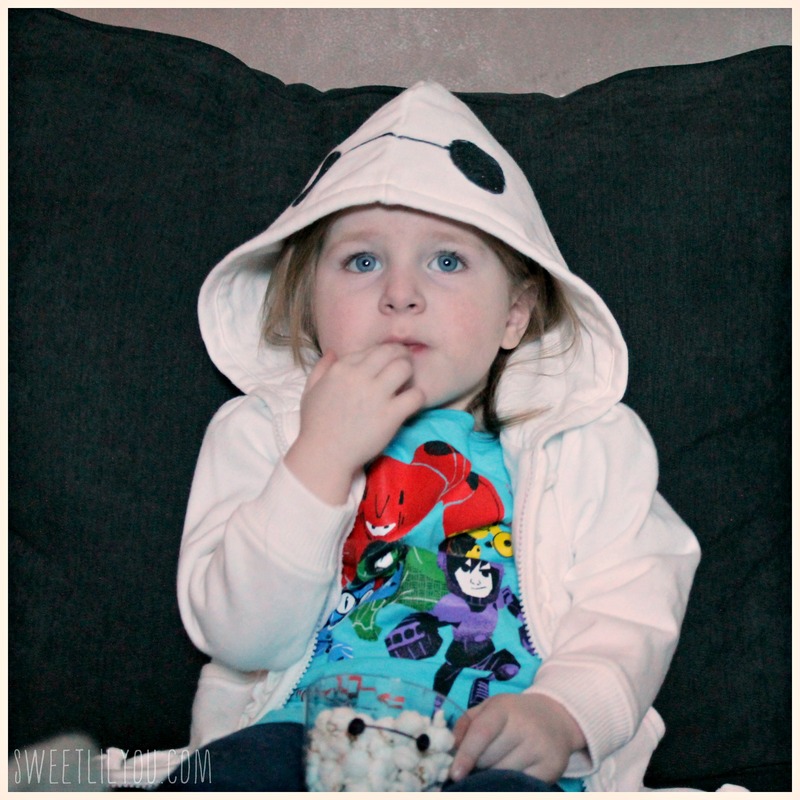 Avery has been slightly obsessed with Baymax since she first saw the preview. 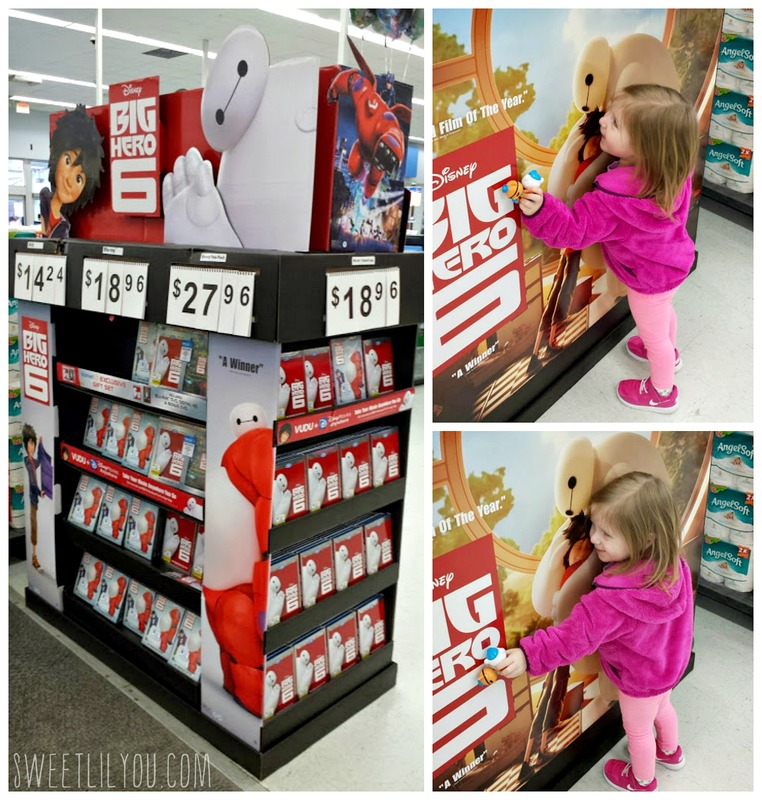 That obsession grew when we were in Disney World and Baymax toys, posters and even life size inflatables were everywhere. I knew we needed to buy the film as soon as it came out on DVD! Avery and I headed to Walmart to get it on the release date and saw that they had a Walmart exclusive 2 DISC Disc BD+DVD=DC+WM GWP 2 pack! Gift with Purchase? SOLD!! 2. Spread peanut butter on the tortilla. 3. 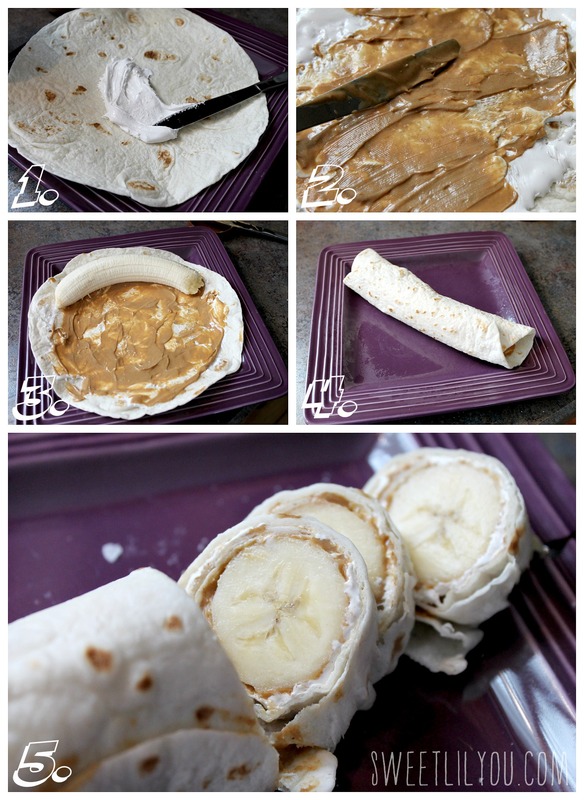 Place a banana on the tortilla. 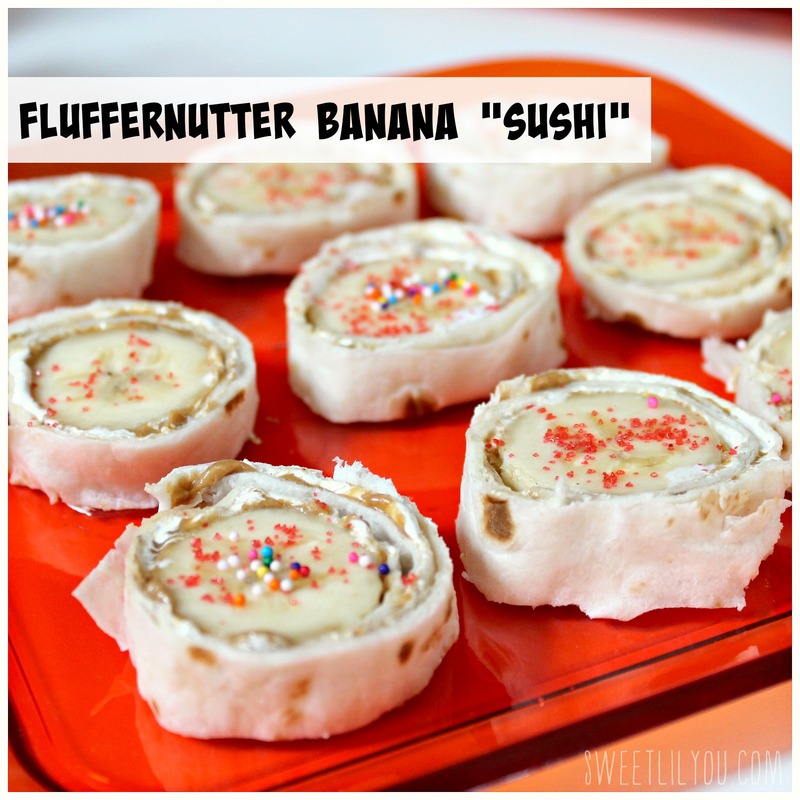 This recipe isn’t really difficult, it’s just time consuming. 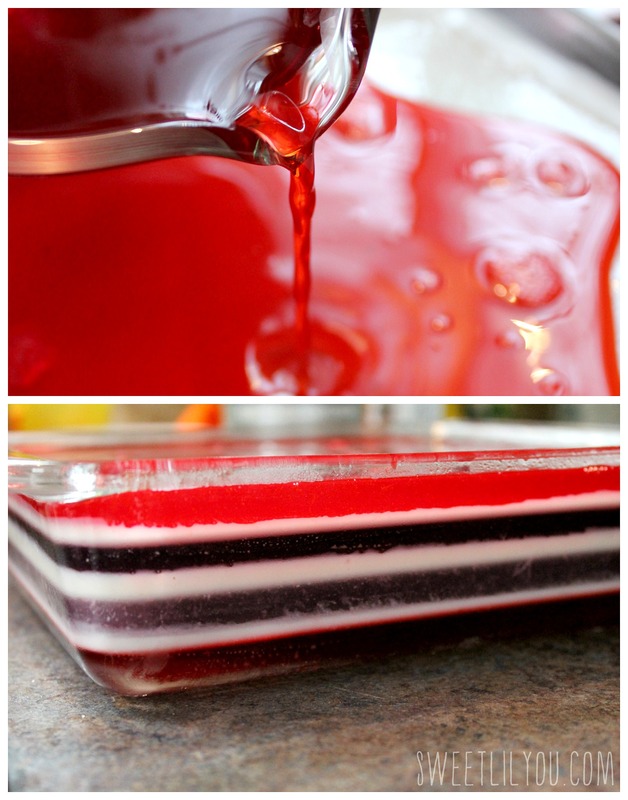 I had never made it before and scoured the internet for a simple-to-follow recipe. 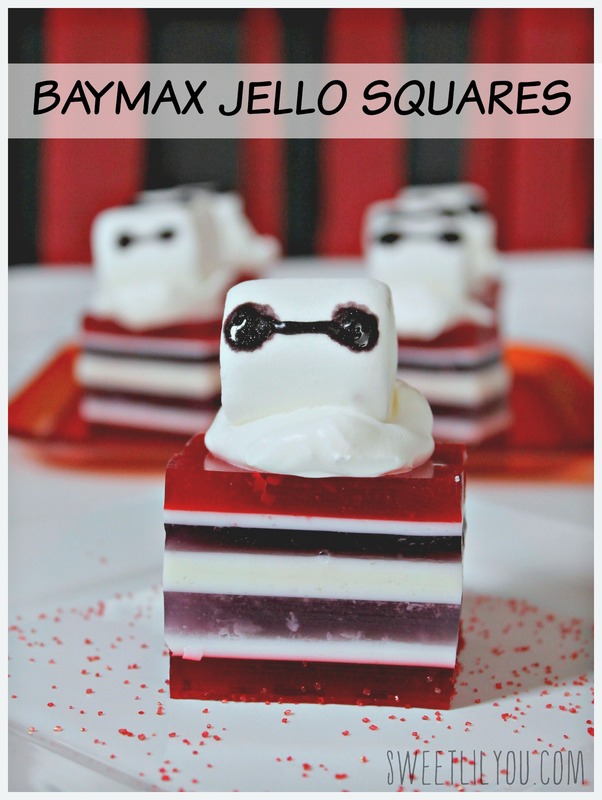 This is the one I used: Finger Jello After the layers were all set, I cut the jello into squares, added a dollop of whipped topping, and a Baymax marshmallow! I used a gel icing pen to make the eyes. No family movie night is complete without POPCORN! So, I grabbed some cups and drew Baymax faces on them. They were really cute and Avery wants to eat and drink everything out of Baymax cups now! Thank you Disney for creating a character that EVERYONE can draw! 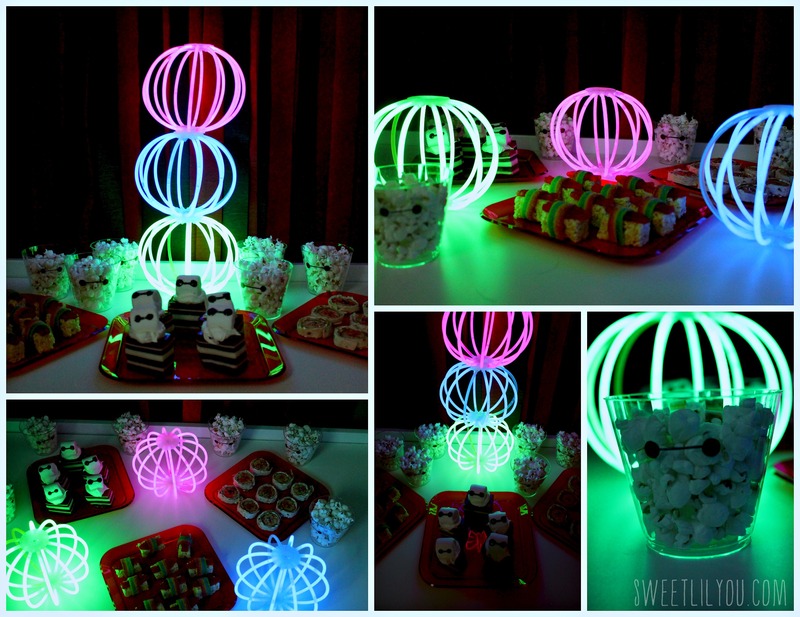 While shopping, I also picked up some glow lanterns. I thought they’d be fun to decorate our table with! They gave the feel of San Fransokyo at night! 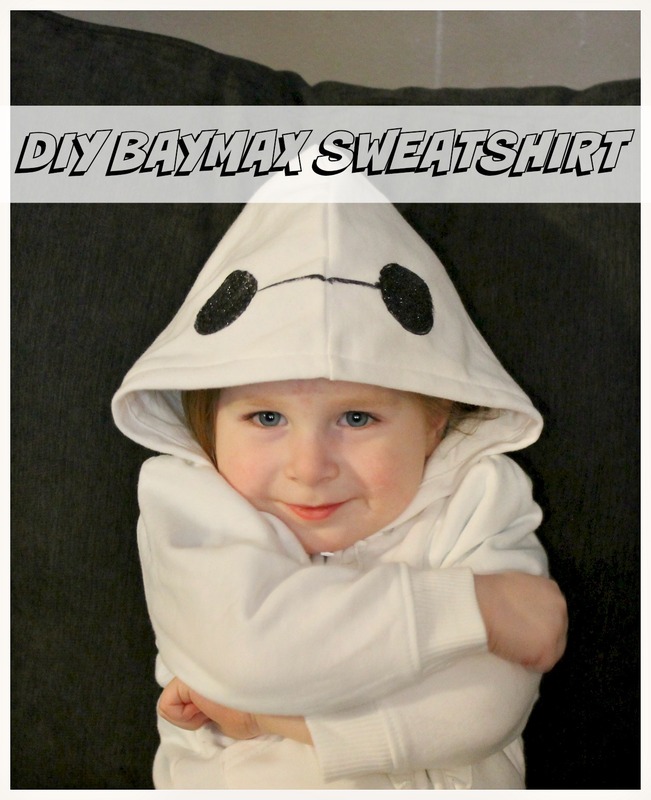 As one last little craft, I decided to make Avery her own Baymax hoodie! Again, thanks for the easy to draw characters, Disney. 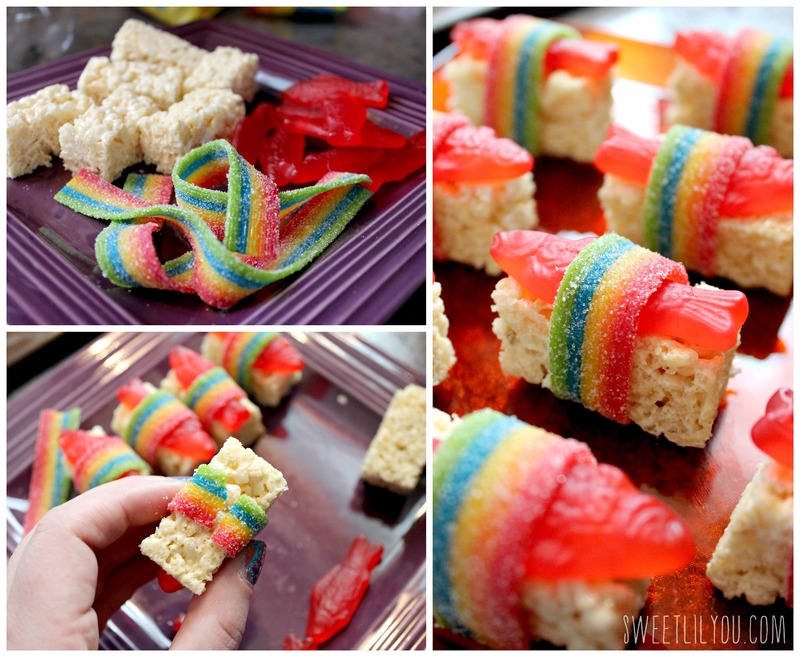 This entire project took less than 5 minutes to make! 1. 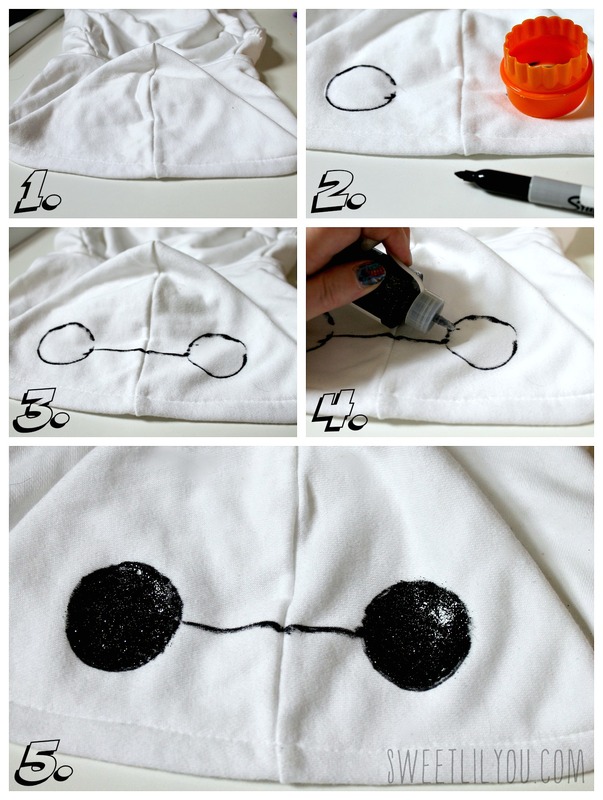 Lay your sweatshirt out on a clean surface. Place cardboard under the area you’re going to paint in case any paint bleeds through. 3. Draw the two circles and connect them in the middle with a straight line. 5. Allow to dry completely before wearing. 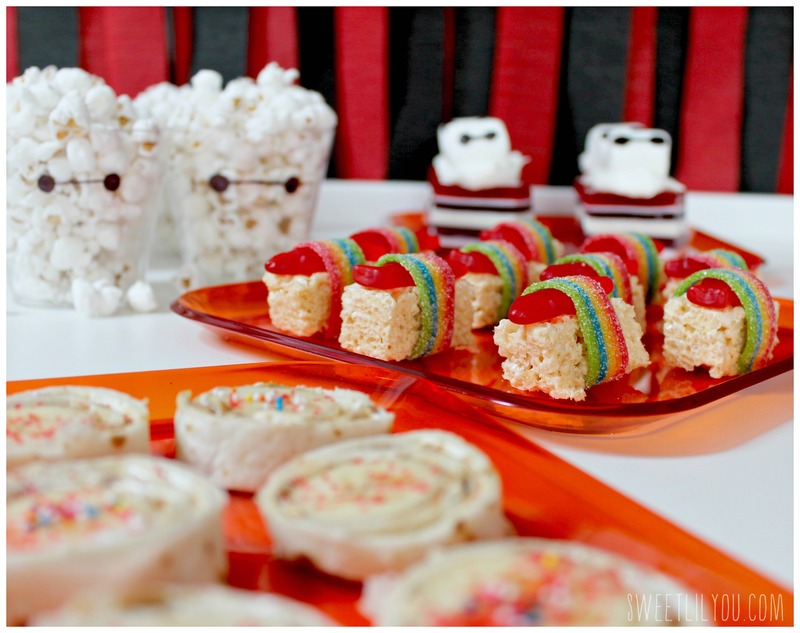 We all had a great time at our little family movie night, and everyone loved the movie. I’m looking forward to sitting down and watching the bonus DVD that came in the set. “The Science of Big Hero6” I love robots, and it looks fascinating! Have you seen Big Hero 6 yet? We loved it and I’m so glad we bought it! If you buy the Big Hero 6 Blu-Ray/DVD + Gift With Purchase Set you’ll receive a free digital movie on Vudu while supplies last! Simply scan your receipt using the Savings Catcher in the Walmart app, then look for a message on your phone or email. Now you can watch Big Hero 6 on any device! 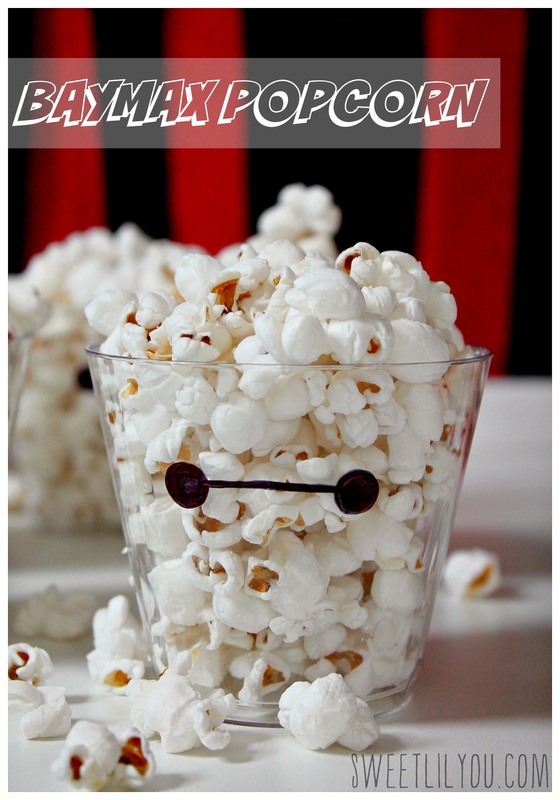 This entry was posted in crafts, Disney, Recipes and tagged baymax, Big Hero 6, disney, movies. Awesome job! 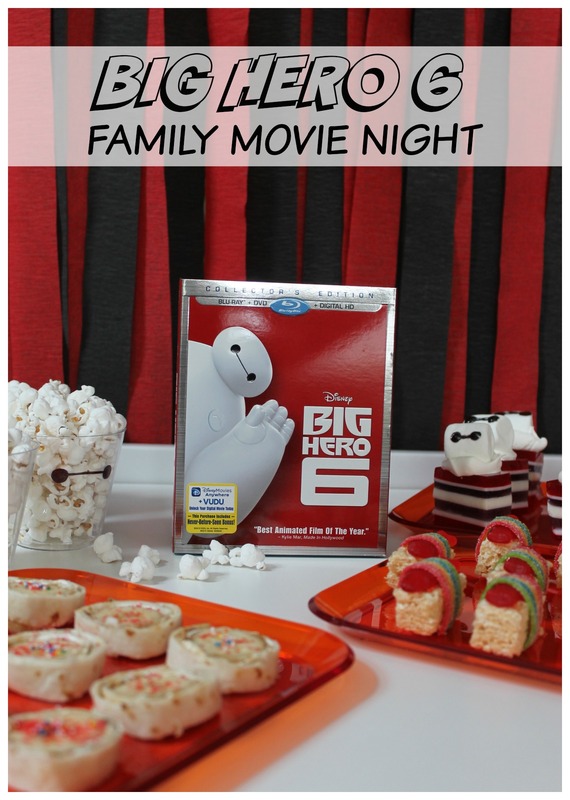 Movie night looks like a blast in your house! Thank you Chelley!! It was a lot of fun! !